This 2-day course prepares you to implement and operate the USM Anywhere product. This 2-day course provides security analysts with the knowledge and tools to fully leverage USM Anywhere to perform analyst duties. A self-paced, recorded course to introduce USM Anywhere and give an orientation to setup, configuration, and product functionality. The Liftoff package includes Implementation Services with a Certified AlienVault Consultant and Two (2) Delegate passes for any 2-day AlienVault USM Anywhere Training class to be delivered Live Online. If you are interested please request a quote at 888-613-6023. 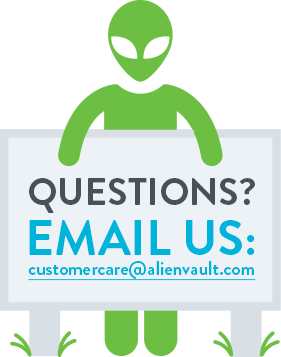 This self-paced course gives Managed Security Service Providers (MSSPs), Managed Service Providers (MSPs), and enterprise customers an orientation to AlienVault® USM Central™. 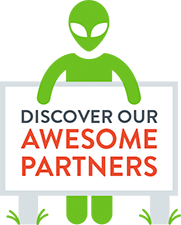 It is designed to introduce you to the USM Central platform and show you how you can connect existing AlienVault USM Anywhere™ and AlienVault USM Appliance™ deployments.  You will also see how USM Central collects and centralizes alarm details to deliver a consolidated view into threats that have been identified, so you can respond quickly and effectively. This 5-day course teaches you how to take advantage of the full power of USM Appliance, from deployment and architecture to reporting to threat detection and behavioral monitoring. This 2-day course provides security analysts with the knowledge and skills to fully leverage the USM Appliance to perform analyst duties to identify and remediate known and emerging threats. This 2-day course follows the 5-day course and is designed for federated environments run by MSSPs and multi-tier environments operated by customers. The Launchpad On Demand course teaches you the basics of using USM Appliance to help you get started quickly. This self-paced course is an excellent introduction for security engineers and analysts, as well as other project team members and managers. What's your cancellation policy for seats in public classes? You can substitute one student for another at any time. We appreciate 1 week’s notice in order to provision the lab and course exam. Cancellation or re-schedule must take place 7 days before the class start date. Cancellation or re-schedule without one week’s notice will be charged for the usage. Cancellation, re-schedule or substitution must be done in writing through email to [email protected]. What's your cancellation policy for seats in private classes? Students can attend either part In Person or Live Online. This doesn't change what is taught in class. It’s just a different way to take the class. All students still need to go through the entire class to learn how to plan, deploy, implement and operate USM to detect and mitigate modern threats. This only applies to public classes. It is not available for private deliveries. The split is 2 days then 3 days. We regret that we cannot support any other combination. There is a chance you will have two different instructors. We can not guarantee the same instructor. This is a great opportunity for you to learn from two experts. Please check the expiration date of your purchase. Both parts of the training must be completed by that expiration date. No substitutions: One person must take the entire course, no changing attendee after the split. We do everything possible to make sure that the experience in both methods is equally great. Some people insist that they want to be face to face with the instructor; others don’t have the ability or desire (or the extra time required) to travel. Some prefer to go in person because it gets them out of the office and away from interruptions. Others prefer the class through the live online method because they can continue to maintain reasonable control over their work while focusing on the class. All the students have access in the same way to the remote labs. All students can communicate (through chat or voice) with the instructor. Students can even communicate with their classmates through chat – that can often lead to some great information sharing. We study the customer satisfaction scores carefully and believe that students in both delivery methods are equally satisfied. The great majority of our student choose the Live, Online option. Please contact us at [email protected] for more information. 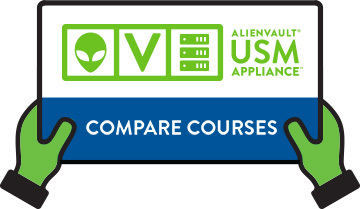 The AlienVault Certified Security Engineer (ACSE) certification validates skills in planning, designing, implementing, and operating the AlienVault USM Appliance™. The AlienVault Certified Security Engineer (AVSE) certification validates skills in deploying, configuring and managing AlienVault USM Anywhere™. AlienVault certifications are valued designations of knowledge and skills that demonstrate expertise among AlienVault customers, partners, and employees. Learn more on our certification page. Each student must purchase a seat and have a valid confirmation to attend in person. Contact [email protected] before you make travel plans. These classes will be held in a dedicated training room at the offices of our Training Partner, Terra Verde. They’re located at 20601 N. 19th Ave, Suite 150, Phoenix, AZ 85027. There are a number of hotel options nearby. One option is the Residence Inn at 2035 W Whispering Wind Dr, Phoenix, AZ 85085. The phone number is (623) 580-8833. Breakfast is provided each morning at the hotel and they have a shuttle that will bring you to the office if you ask them to. There is no airport shuttle. The Tennessee classes will be held in a dedicated training room at the offices of Sword & Shield, 1431 Centerpoint Blvd #150, Knoxville, TN 37932. There are several hotels about a 10-minute drive from their office. One is the Fairfield Inn & Suites Knoxville West, 11763 Snyder Rd, Knoxville, TN 37932. The phone number is (865) 392-1122. There is a Clarion, Hampton Inn, and Super 8 (and others) in the same area as the Fairfield Inn. The Georgia classes will be held at the Cybriant Training Center at 11175 Cicero Drive, Suite 100, Alpharetta, Georgia 30022. There are several hotels nearby. One is Comfort Suites At North Point Mall, 3000 Mansell Rd, Alpharetta, GA 30022. There is also a Ramada Limited, a Hyatt, and an Embassy Suites. Training will take place in the Imperial Hotel, South Mall, Cork. The training begins at 09:00 local time on Monday in the Rossmore Room. You can fly directly into Cork International Airport (ORK). The Imperial Hotel is in Cork City centre so you have a choice of hotels.